Science lessons provide the perfect opportunity to stimulate and excite pupils’ curiosity and interest in the world. Through practical exploration, children develop their understanding and knowledge of 'how', 'why', and 'what' happens in science investigations. At Wells, we encourage pupils to ask questions and discuss scientific issues that may affect their own lives. We help pupils to make sense of an ever-changing world. 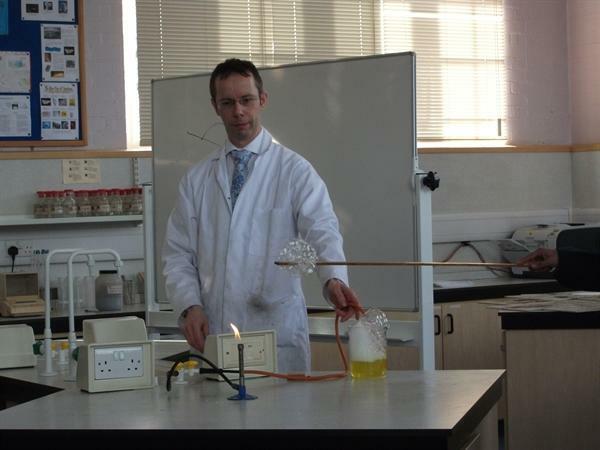 A hands-on approach to teaching science is adopted throughout the school. These activities develop the children’s scientific skills of enquiry, observation, locating sources of information, selecting appropriate equipment and using it safely, measuring and checking results, making comparisons and communicating results and findings. Cross-curricular lessons are also taught on a regular basis, making effective links with the other curriculum areas such as maths, literacy and computing. The children especially enjoy our 'Science Weeks' at school when we have visiting farm animals, butterflies hatching in the classrooms and live chicks hatching in the school library, as well as lots of exciting scientific experiments and investigations going on throughout the school.